GIMP is an acronym for GNU Image Manipulation Program. It is a freely distributed program which can accomplish essential image editing tasks such as resizing, editing, and cropping photos, photo montages combining multiple images, and converting between different image formats. 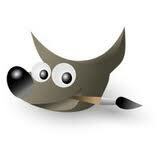 GIMP can also be used to create animated images in many formats such as GIF and MPEG through the Animation Plugin. It works on many operating systems, in many languages.